What does "TETRA over LTE" mean? TETRA over LTE? Public safety LTE? What do these things really mean? Ask an engineer to explain what TETRA over LTE means and they may say something like: "TETRA over LTE is an LTE smart device application and an interface in the TETRA service core to connect from the smart device to TETRA services, using a secured VPN tunnel over LTE data access." Okay, but what does that mean in everyday terms? 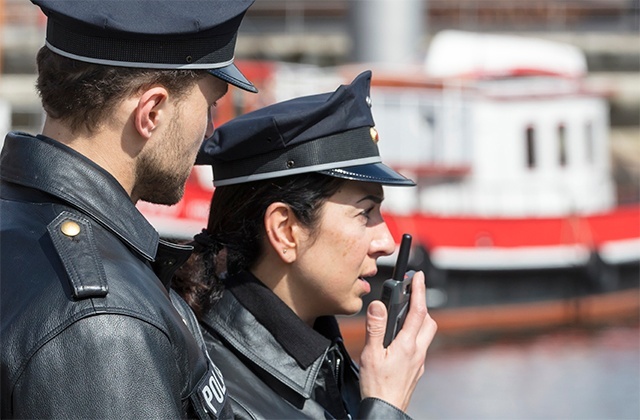 Well, if you use a TETRA radio, adding TETRA over LTE will make it possible for you to talk to your smartphone-carrying colleagues in a group call. Just the same as anyone else. And the colleagues in the control room can manage these users and this communication, too. Of course, making the connection is a little more complicated than that. 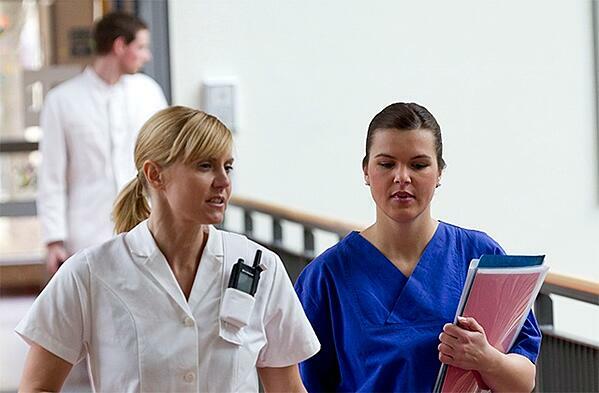 Your smartphone-carrying colleagues will need the special application that allows them to communicate in TETRA groups. The TETRA and LTE networks also have to work together in a certain way. So, TETRA over LTE is a very practical way to gain important benefits by combining the use of two different technologies. Is TETRA over LTE the same as public safety LTE? Public safety LTE usually refers to the new public safety specific LTE standard features as defined by the 3GPP. 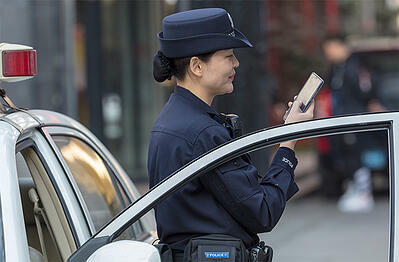 The term public safety LTE also includes all kinds of solutions for public safety users. These range from whole radio network solutions to single function applications. A good example is a professional application designed for public safety, running on a LTE network. In this case, the LTE network may mean a commercial broadband network, or it may be a dedicated network, in the sole use of the public safety organization. Another example would be a complete system based on LTE, including important public safety features that adhere to the LTE standards. Certain crucial public safety features are already defined in the standards - some are under development and will be published in future releases. TETRA over LTE is a reliable and safe way to evolve PMR networks. But PMR evolution is not only a question of technology. There are other things to consider when planning a smooth evolution towards the broadband future. Could my organization use TETRA over LTE? Adopting new apps and services would be difficult if they required a major revamp of processes and hardware. Instead, you need a solution which lets you continue to use your existing equipment and processes and use both TETRA and LTE in a complementary way. The solutions must also be straightforward to implement. 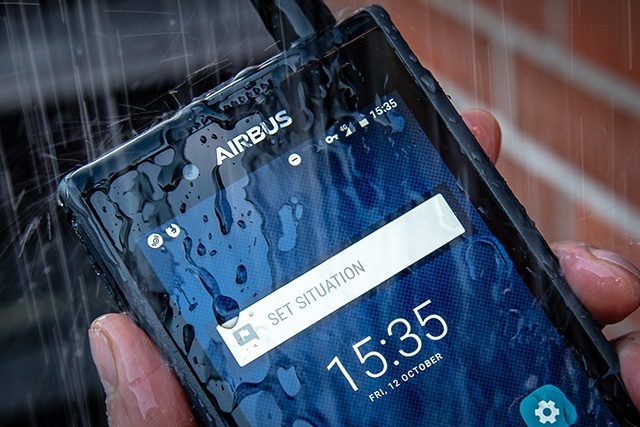 How would TETRA radios and smartphones work together? You probably cooperate with many different organizations. The people in these organizations would not need a TETRA radio but they could still easily communicate with your teams in specific talk groups. You may also have colleagues who do not carry TETRA radios with them all the time. TETRA over LTE means that when their help and cooperation is needed, they can communicate with you in groups - using the Tactilon Agnet app, for example. When smartphone carrying professionals need the push-to-talk application to communicate in TETRA groups, the app needs to meet certain key requirements. Read the blog post "How to recognize a professional push-to-talk application" for more help. If you adopt a professional app that can connect smartphone users to TETRA groups, you and your smartphone-carrying colleagues can communicate and work together. They can also communicate with the control room and from outside TETRA network coverage, provided the broadband network is available. How secure is TETRA over LTE? To make TETRA over LTE secure, we need to control who gets the application into their smartphones and which groups they can participate in and when. A single tool is needed that lets you manage all users, both TETRA and smartphone. This will ensure that access to groups is controlled, allowing each user to communicate in the groups they need and removing access once the task is complete. Such a tool exists: several network operators use the Tactilon Management tool for managing just this. Read the blog post "What makes a great user management tool for hybrid networks?" for more information about managing users across several networks. There is another aspect of security that also needs to be considered. 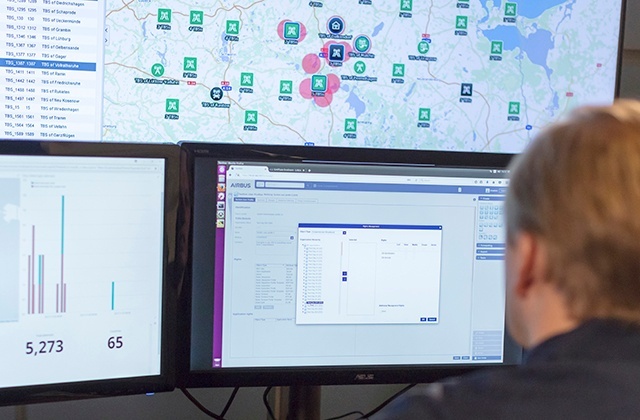 When public safety organizations get their broadband services directly from a commercial mobile network operator, it is difficult (or even impossible) for them to control where and how the user data is stored or processed. A better way for public safety users is to choose a Secure Mobile Virtual Network Operator (SMVNO) who will operate the mobile virtual network in an exceptionally secure way. This is regarded as the smartest step towards broadband and the solution with the lowest risk for public safety and security. An SMVNO solution can ensure critical LTE security and offers additional layers of security to meet the needs of demanding professionals. Learn more from the white paper "Why Secure MVNO is your next smart move". TETRA radio and a smartphone? 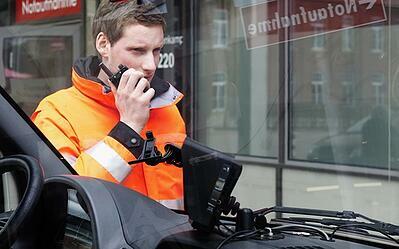 More and more professionals use both a TETRA radio and a smartphone to work. But what if the functions of a mission-critical radio and a smartphone could be combined? There is a solution. Tactilon Dabat is a rugged smartphone with a full TETRA radio inside - and it is designed for ergonomic push-to-talk use. The application. Group calls in which radio users and smart device users can communicate easily can take teams to a completely new level of cooperation. Just make sure that your push-to-talk app has the required control and features that users need. The device. Users may need a new kind of device that works both as a TETRA radio and a smartphone. It may be practical to opt for a single device that can run professional apps, has the required design and form factors for prolonged use, and delivers TETRA radio capabilities. The user experience. Your users need uninterrupted communications services, but if the network is not your own or even your service operator's own, how can you be sure that it delivers as agreed? You or your service operator clearly need a solution for monitoring the level of service that users really get. Management of users and organizations. Efficient solutions are needed to manage radio users' data, access rights and other attributes, as well as a way to look after push-to-talk subscribers in the new hybrid world. A proper management tool can do all that. If you have more questions about LTE, take a look at my earlier blog post "10 LTE facts that are NOT just for nerds," and for a complete picture of the steps in the path of PMR evolution, take a look at this helpful summary from Key Touch magazine: "14 great resources to help evolve your PMR network to broadband".